Today let’s redefine what a winner is. It’s not 1st place. It’s your 100%. Your best. 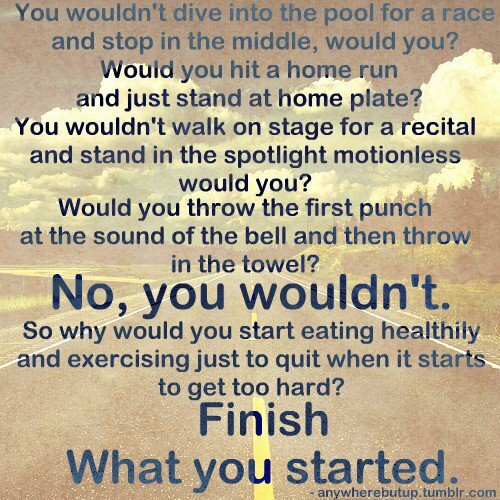 It’s you finishing what you started. That’s what makes a champion. That’s what makes a winner. Vow today to finish what you have started. And no matter how hard it gets or how long it takes, never, never give up!